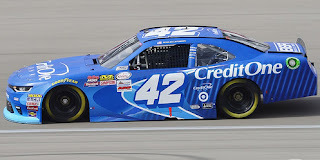 Kyle Larson picked up the 1st last-place finish of his NASCAR XFINITY Series career in Saturday’s Zippo 200 at the Glen at Watkins Glen International when his #42 Credit One Bank Chevrolet lost an engine after 12 of 82 laps. The finish came in Larson’s 100th series start. 2017 has been a breakout year for the young gun from California, who has carried wins at Fontana and Michigan to lead the points for 11 of the race’s first 22 weeks. 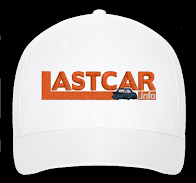 Despite this career season, coming off a 9th-place finish in the 2016 points, Larson has continued to race in the NASCAR XFINITY Series, which announced new rules further restricting Cup veterans from competition. 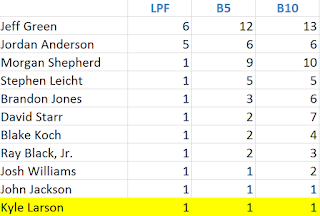 Heading into Watkins Glen, Larson had made eight of 19 XFINITY starts, scoring three wins at Fontana, Richmond, and Dover. 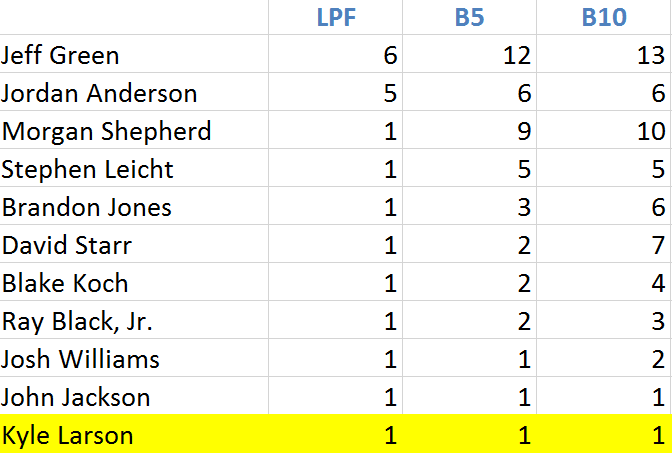 Watkins Glen would see Larson join seven other Cup regulars: Paul Menard, Ty Dillon, Joey Logano, Kyle Busch, Erik Jones, Brad Keselowski, and Kevin Harvick. 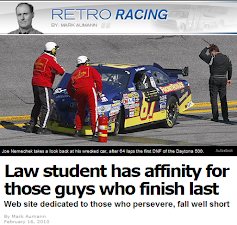 This originally set the list at 42 entrants, though by the weekend, Morgan Shepherd had withdrawn his #89 Chevrolet. Larson, meanwhile, ran 5th in Friday’s opening practice, 6th in Happy Hour, and qualified 3rd with a lap of 123.979mph – smack in the middle of a six-car Cup regular sweep of the top spots. The lone driver sent home after time trials was P.J. Jones, who with Jeff Spraker’s #25 Eckler’s Chevrolet was seeking his first XFINITY start since 2008. Jimmy Means Racing started 40th on the grid with Joey Gase in the #52 Donate Life Chevrolet. On the pace laps, he was joined by two drivers sent to the back for unapproved adjustments: owner-driver Jeremy Clements in his #1 RepairableVehicles.com Chevrolet, and Californian driver Devin Jones, making his first NASCAR start since 2013 in a one-off for SS Green Light Racing driving the #07 Veristor Chevrolet. Coming to the green flag, another two black cars had voluntarily fallen to the back: the #93 RSS Racing Chevrolet of current LASTCAR leader Jeff Green and Motorsports Business Management’s #13 OCR Gaz Bar Dodge of Carl Long. On Lap 1, Gase re-took the 40th spot, 15.969 seconds behind the leader. However, 28th-place starter Josh Bilicki jumped the start in B.J. McLeod’s #8 Prevagen / BrookLink Chevrolet, and by the second lap had dropped one second behind Gase as he came down pit road. When he exited on Lap 3, Bilicki was now 12.5 seconds behind the new 39th-place car of Brian Henderson in the #90 BDL Motorsports / Absolutely Amish Chevrolet. Back on the track, Jeff Green slipped to 38th on the Lap 7 restart, but slowly began to pick his way through the pack once more. 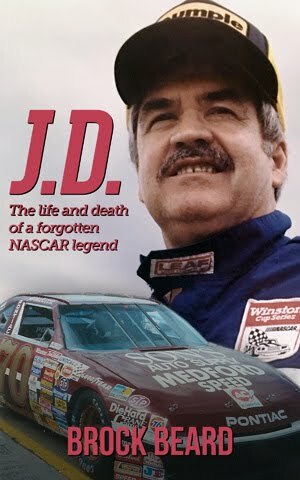 On the 8th circuit, the last car on track belonged to Devin Jones, now 14.043 seconds behind. 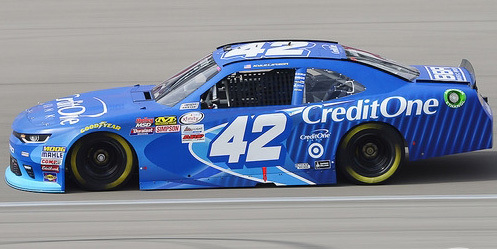 At the same time, Kyle Larson began to fall from the front of the field. 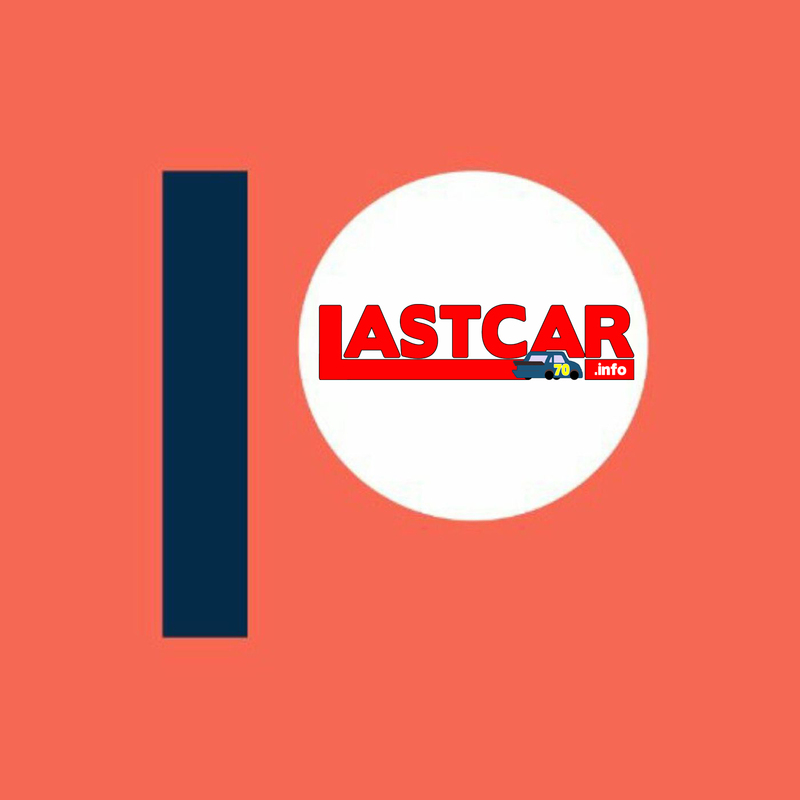 After battling with both Penske teammates of Brad Keselowski and Joey Logano, Larson was promptly passed by each down the backstretch, and he was now losing even more spots. On Lap 12, right when Joey Gase had re-taken 39th from Jones, a puff of white smoke came from Larson’s exhaust pipes in Turn 7. Larson cut right onto pit road, then was pushed behind the wall with a broken valve spring, ending his day. Gallagher returned to the track on Lap 17, 14 laps down, dropping Larson to last on Lap 27. 39th went to J.J. Yeley, who after his contact with Gallagher in the chicane lost the engine on his #14 Visions Federal Credit Union Toyota in Turn 7, forcing him to stop outside the groove. Jeff Green didn’t pull off the track until Lap 26, citing a vibration on his all-black #93. Timmy Hill, who joined Green at the back before the start, cited overheating issues the next time by. Rounding out the Bottom Five was Englishman Stephen Young, who lost the transmission in a large cloud of white smoke down the frontstretch, leaving a long trail of fluid to where his #78 Wealth Recovery International Chevrolet stopped in Turn 1. The next day, Larson started outside-pole in the Cup Series race at The Glen and finished 23rd. *This marked just the sixth last-place finish for car #42 in an XFINITY Series race, and the first for the number in the series since May 14, 2016, when Justin Marks’ #42 Katerra Chevrolet failed to complete a lap of the Ollie’s Bargain Outlet 200 at Dover following a crash in his heat race.